For the super-rich, money-is-no-object 0.1 percenters, attaining the ultimate automobile should be as simple as buying a new pair of Armani loafers. 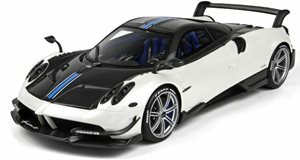 Turn up at your local Pagani dealership with a suitcase of cash and drive away in a bespoke blue carbon Huayra. Easy. Except it’s not. We recently spent time with a member of society’s elite, a man of considerable means whose garage contains a custom LaFerrari, the exquisite one-of-a-kind l’Or Blanc Bugatti Veyron, a Maybach Landaulet, among others. He wanted us to check out his latest purchase, the breathtakingly gorgeous Pagani Pearl. You can read about that here, or check out the fun Facebook video we created here. Something we didn’t mention at the time was how the Pagani came into being. We had assumed that it was a straightforward affair, and had gone down as described above. “Buying a custom-made Pagani is not easy to do without a specialist dealer with connections,” explained the businessman with a penchant for one-off hypercars. 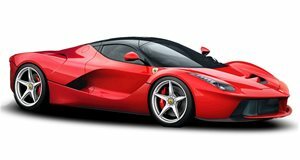 “I first used Mr. Ahmed from Refined Marques when I had a problem sourcing the then-new Ferrari LaFerrari. It was sold out the day it launched, so it was almost impossible to get. So, what’s next? “We are working on a custom, one-off Bugatti Chiron. Refined Marques is again helping us to get exactly what we want. Like the LaFerrari, it will have a totally carbon-fiber interior. No leather, only carbon. Hopefully it will be ready in the next six months.” You might find some haters online speak of Refined Marques in less than glowing terms. But we can be sure that none of these people have met or done business with the Dubai-based dealer. In the Gulf region, business is done differently than anywhere else. It depends almost exclusively on trust. Here your word carries more weight than a written contract. And if you don’t honor it, you are finished. Refined Marques has been in the business for decades, helping make people’s dream cars a reality. Had the company not delivered for just one of its customers, it wouldn’t exist today (and nor, we imagine, would Mr. Ahmed). So, if you strike it rich, win the lottery, inherit a few million, and want something otherwise deemed unattainable, give these guys a ring. Forget the haters, Refined Marques is the real deal.